As the impacts of global climate change escalate, forward-thinking architecture firms have committed to being part of the solution. Increasingly, these firms are signing on to the 2030 Challenge and American Institute of Architects’ supporting initiative, AIA 2030 Commitment, which provide a framework to reduce fossil-fuel dependence and make all buildings, developments, and major renovations carbon neutral by 2030. The 2030 Challenge has been adopted by 80 percent of the top 10 and 65 percent of the top 20 architecture, engineering, and planning firms in the United States, as well as many state and local government agencies. Among these are Eskew+Dumez+Ripple (EDR), a New Orleans–based architecture and planning firm; HOK, a global design, architecture, engineering, and planning firm; and CTA Architects Engineers, an integrated design, engineering, and architecture firm with offices throughout the Western United States and Canada. 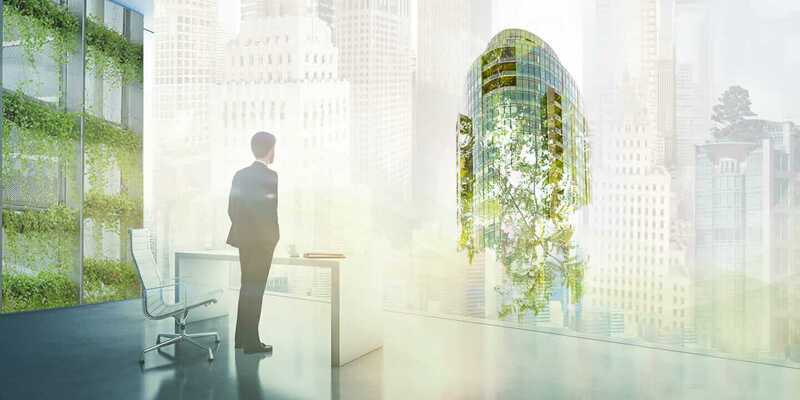 Here, five professionals from EDR, HOK, and CTA share seven key tactics they’ve employed to move toward the 2030 target—and a sustainable future for the planet. Miller Park Café Pavilion in Chattanooga, Tennessee. Courtesy EDR. 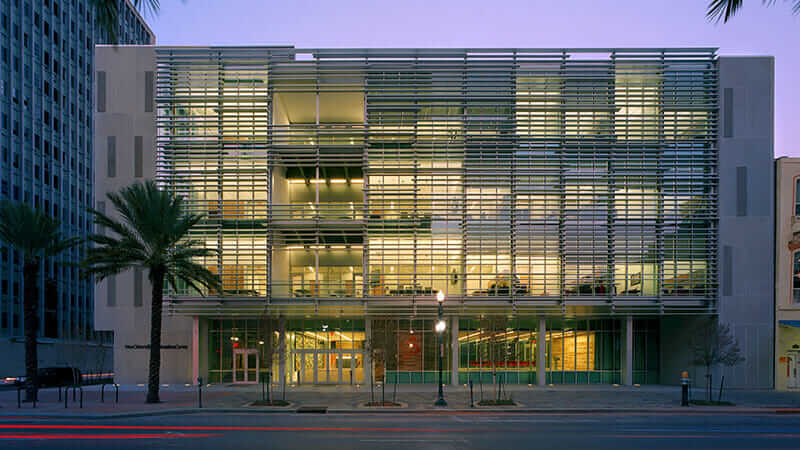 New Orleans Bioinnovation Center, New Orleans, Louisiana. Courtesy Tim Hursley/EDR. 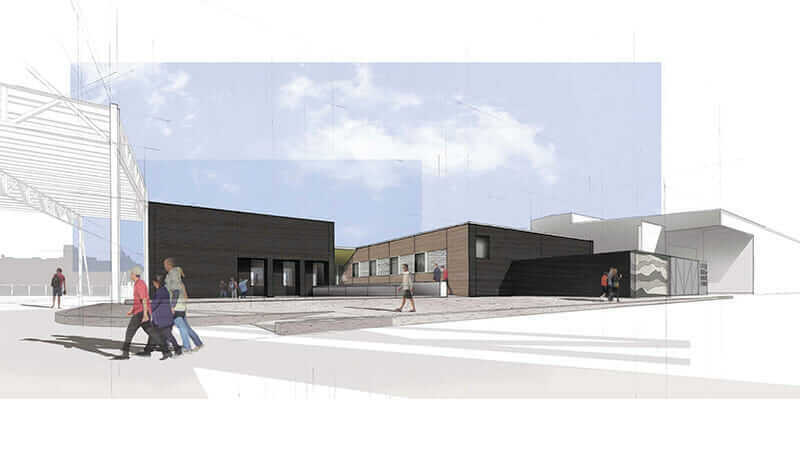 River & Coastal Center, Tulane University, New Orleans, Louisiana. Courtesy EDR. 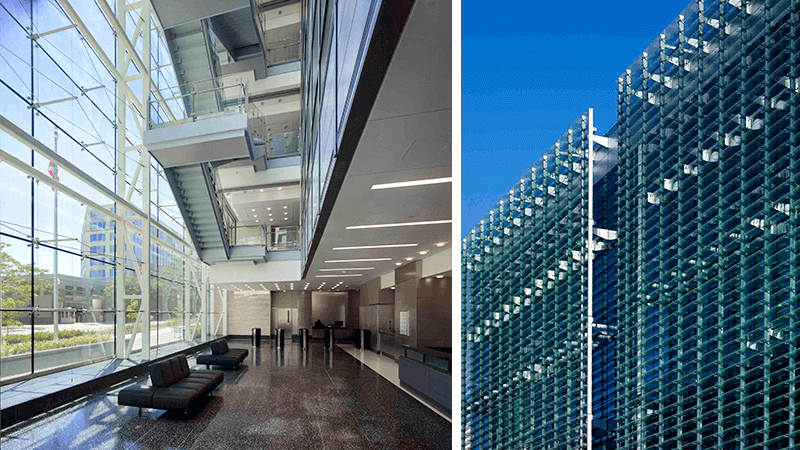 All three architecture firms stress the importance of raising the bar for energy efficiency across a company’s entire portfolio of projects. That approach underpins every effort they make toward achieving the 2030 Challenge. “We talk about the 2030 Commitment during the marketing phase and set targets and benchmarks during conceptual design,” says Anica Landreneau, director of sustainable design with HOK. Ashleigh Powell, a sustainability director at CTA, adds that establishing Energy Use Intensity (EUI) targets at the beginning of a project creates a different way of thinking for designers and sets them up for success. There can also be financial benefits to early modeling for first cost (the sum of initial expenditures on a building project). “If you don’t do the model early enough, you lose the opportunity to find trade-offs where you can come in with a high-performance design that is first-cost neutral or even [yields] first-cost savings,” Landreneau says. 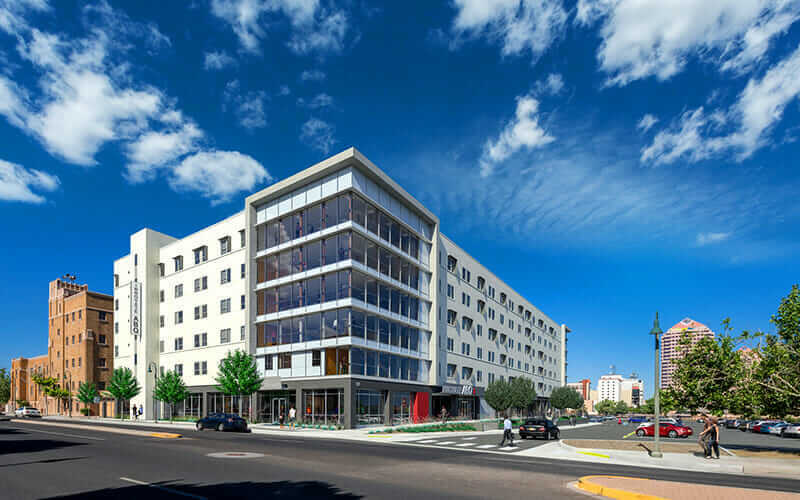 Innovate ABQ building in Albuquerque, New Mexico. Courtesy Dekker/Perich/Sabatini. 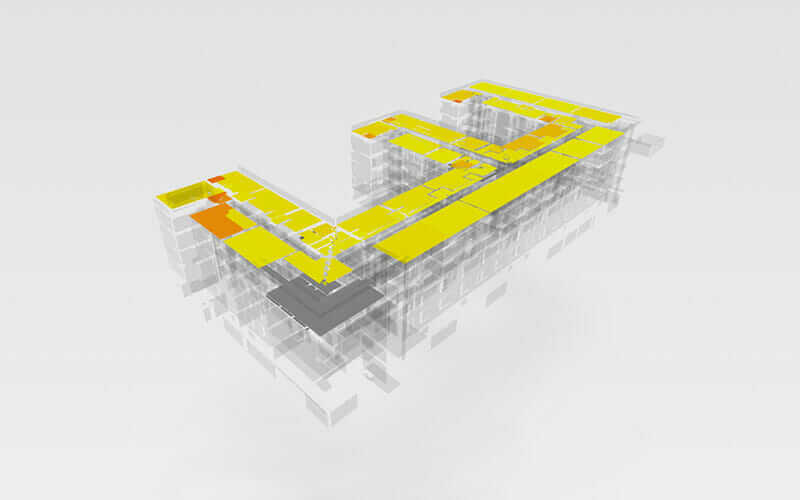 Daylighting analysis of Innovate ABQ, using Insight. Courtesy Dekker/Perich/Sabatini. But how do firms approach clients who aren’t interested in sustainability? Additionally, EDR has weekly meetings with project managers and other stakeholders and trains the staff in running simulations and calculations so that the sustainability planning has become a part of every level of the organization. DC Consolidated Forensic Laboratory in Washington, D.C. Courtesy Alan Karchmer/HOK. 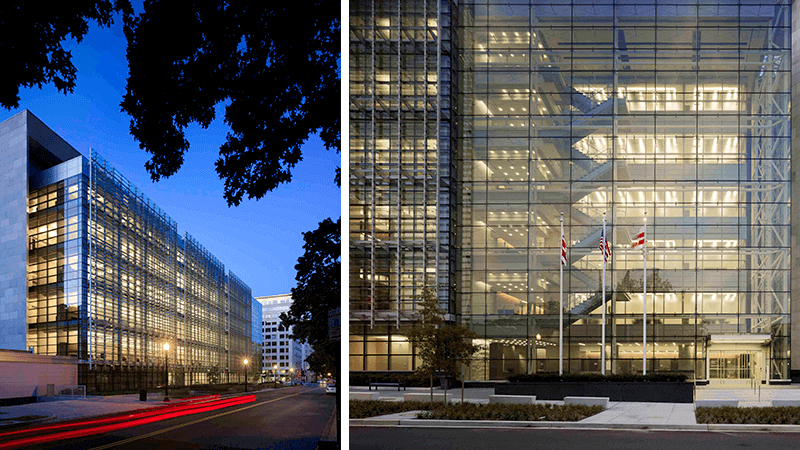 DC Consolidated Forensic Laboratory in Washington, D.C. Left image courtesy HOK. Right image courtesy Alan Karchmer/HOK. 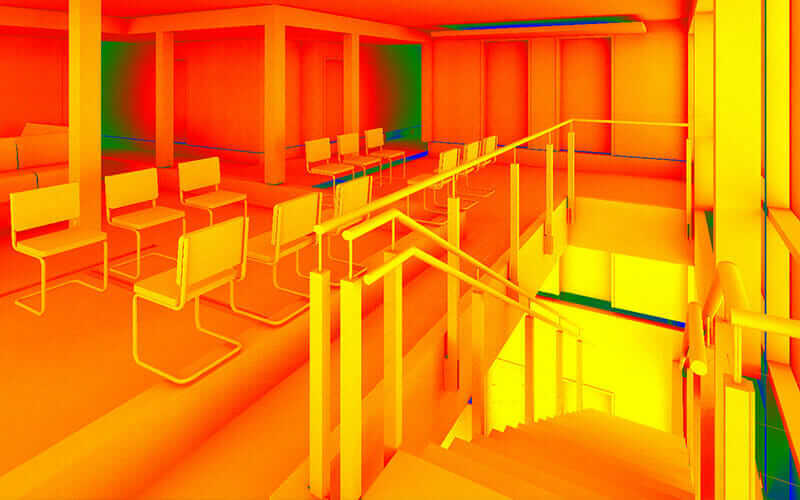 “When you start simulating, it’s critical to have the right tools—that way, it’s easy for architects to learn simulation analysis,” Dunn says. 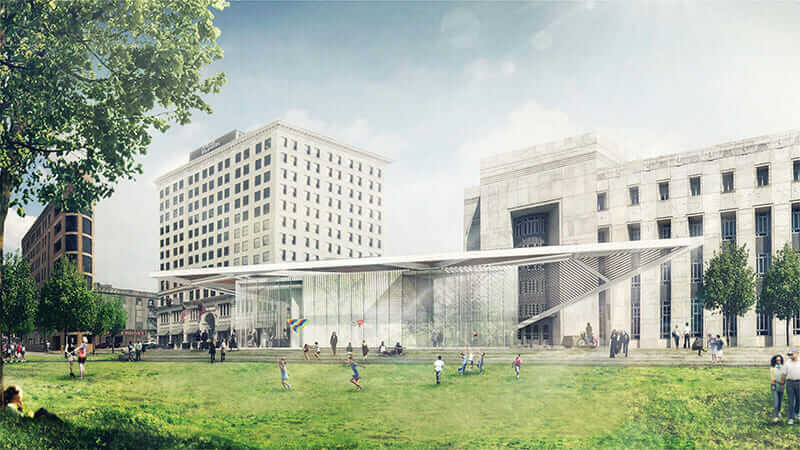 One such tool is Autodesk’s Insight, which is integrated directly into Revit and FormIt and allows architects to run multiple energy-modeling scenarios in a fraction of the time it used to take. “These tools weren’t available even a few years ago, but so much development happened that incorporating them into design is now within reach,” Dunn says. By recruiting and hiring people who are passionate about sustainability, firms secure their ability to reach their sustainability goals over the long term. New talent also brings ideas and innovation to the table essential to meeting the 2030 Challenge. “There’s a wide spread of university programs and students who care about these issues and others who don’t,” Dunn says.“You have to be intentional about the type of people you seek out.” He adds that it’s also important to assign someone on your team to research and design programs for sustainability so that it becomes a part of the fabric of the organization. Global climate change is poised to become one of the industry’s most pressing concerns. Firms committed to the 2030 Challenge can lead the way by getting more designers involved in energy discussions throughout the design process and by using these seven tactics to significantly reduce the carbon footprint across their projects.